By the end of the 30th century humanity had conquered space travel and spread into the galaxy. It was a dangerous place. In 2993, Galactic Command was formed by the Terrans, Empirians and Vesperons, and charged with maintaining lawfulness amongst the member nations’ territories. But what GALCOM calls order, the Insurgents call oppression. In a surprise strike, the Insurgents overran the planet Lyrius and its decommissioned GALCOM bases. The planets proximity to other GALCOM systems made it an ideal target for the Insurgents to use as a base of operations in their fight against the Terran Military. 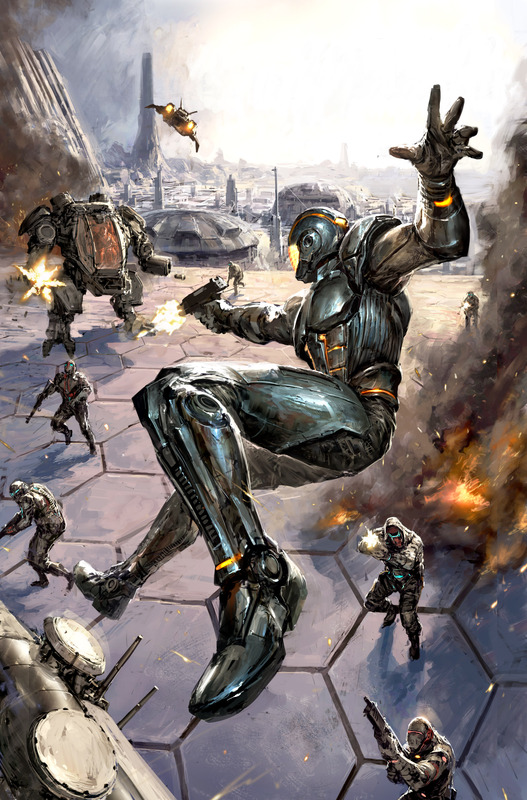 The Insurgents’ attack caught the GALCOM generals unprepared, but more troubling than the show of force were intelligence reports on a new Insurgent super weapon being tested on Lyrius. It is now 3000AD. The galaxy braces for war and Lyrius has become the first line of defense.